Shabak announces arrest of terrorists who murdered IDF soldier Ron Kukia on Thursday, find Kukia's weapon. 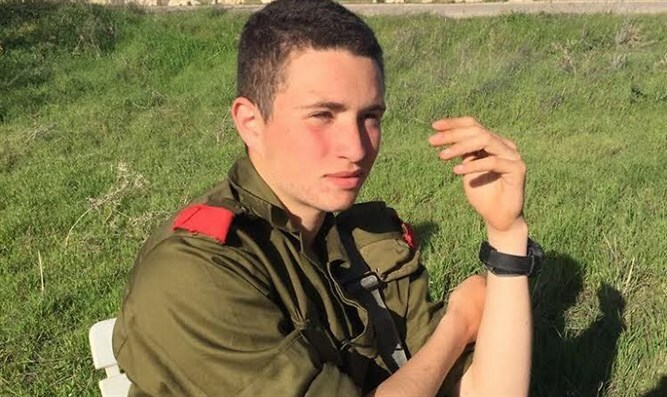 Shabak (Israel Security Agency) announced on Monday that on Friday night Shabak and Israel Border Police's counter-terrorism unit arrested two Negev residents on suspicion of involvement in the murder of IDF soldier Ron Yitzhak Kukia. Kukia, 19, was stabbed to death last Thursday while waiting at a bus stop near a mall in the center of Arad, a city in southern Israel. Police officers and IDF soldiers searched for the terrorist, who escaped after murdering Kukia and stealing his weapon. According to investigating sources, the findings collected so far within the framework of the Shabak investigation indicate that the attack was planned for nationalistic motives. During the interrogation one of the suspects linked himself to the murder and even led the Shabak interrogators to the place where the soldier's weapon was hidden. Shabak security services said the suspects are being interrogated, and a gag order has been issued on the identity of the suspects and the rest of the investigation. The investigation is ongoing, and the suspects' names and details have not yet been released, although it is clear that they are Israeli citizens..